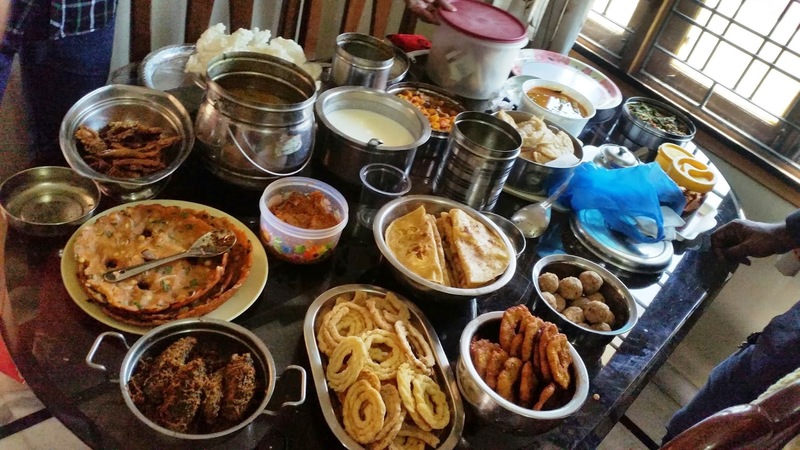 Organized in his house at Alwal, this Telangana daawat was priced at Rs. 226/- per person. There were around 10 more people eager to savour his delicacies, some of whom I already knew and was delighted to meet the others. 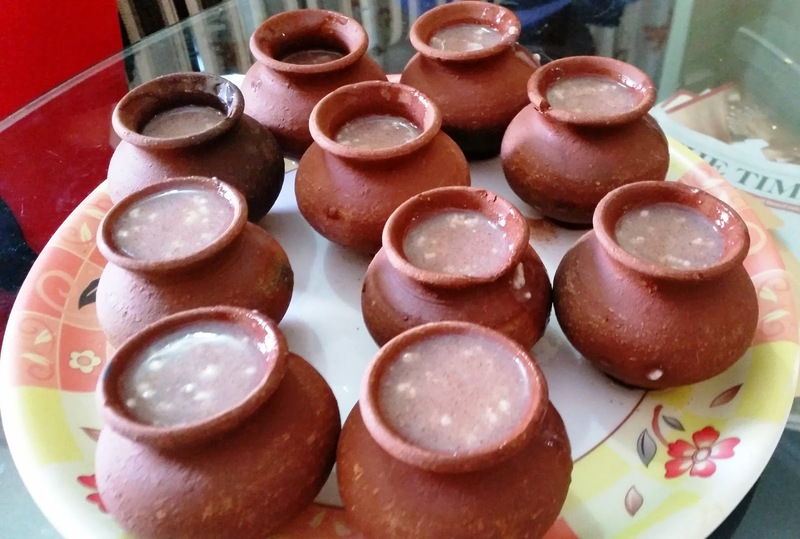 We started with Ambali – a ragi flour based thick drink with oats, served in earthen glasses. I was told that this is a favorite of the farmers in the afternoon, after working in the hot sun. The drink was quite heavy, and is nourishing given the benefits of raagi. The starters came next of which the salted ones were Sarvapindi, Sakinalu and Makka Garelu. 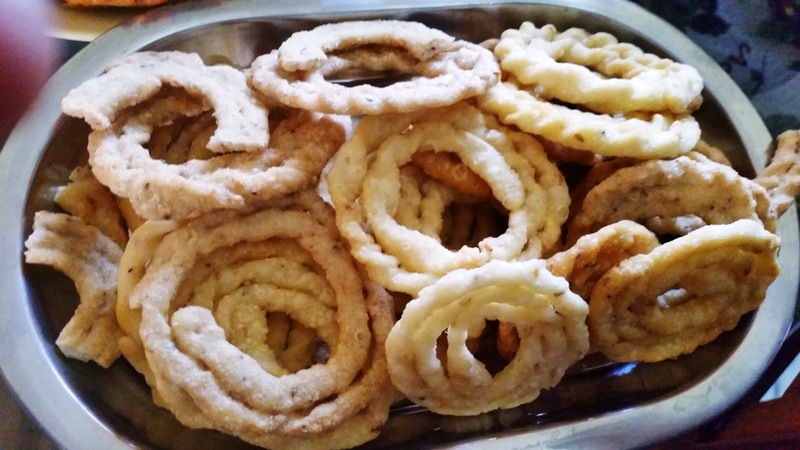 Sakinalu is possibly the most well known snack from Telangana, Shaped like a jalebi, it is a fried snack made of rice flour and can have many versions with different spices like ajwain, garlic etc. It can even be sweet. The sakinalu served here was crunchy and I thought this is the ideal snack to go along with a hot cup of tea. I was told that this is normally savoured with pickles. 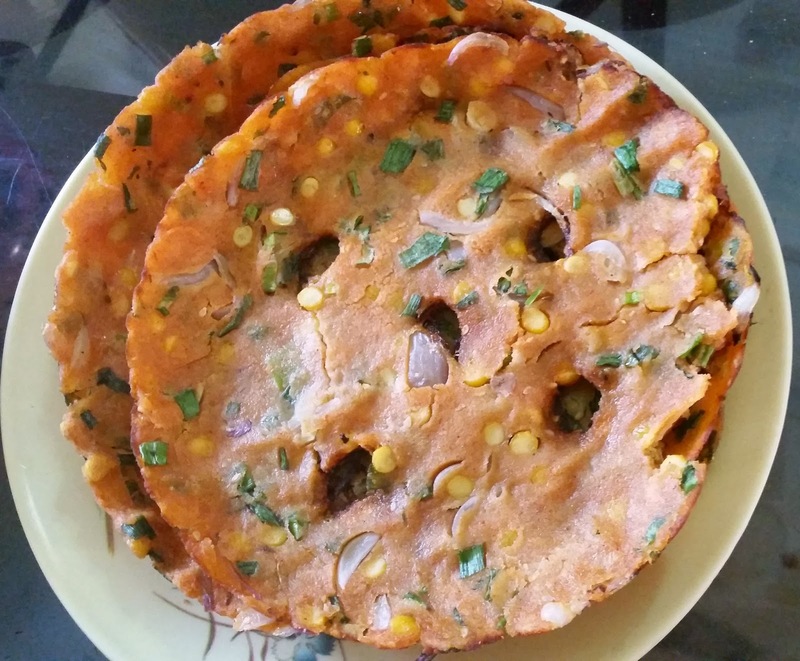 Sarvapindi is a flat circular pancake made of rice flour with abundant chopped onions and spring onions, lentils and spices. In villages this snack is prepared in sarva, which is the vessel for milk. The snack has round holes in it through which ghee is poured. The pancakes were spicy, soft and extremely tasty. 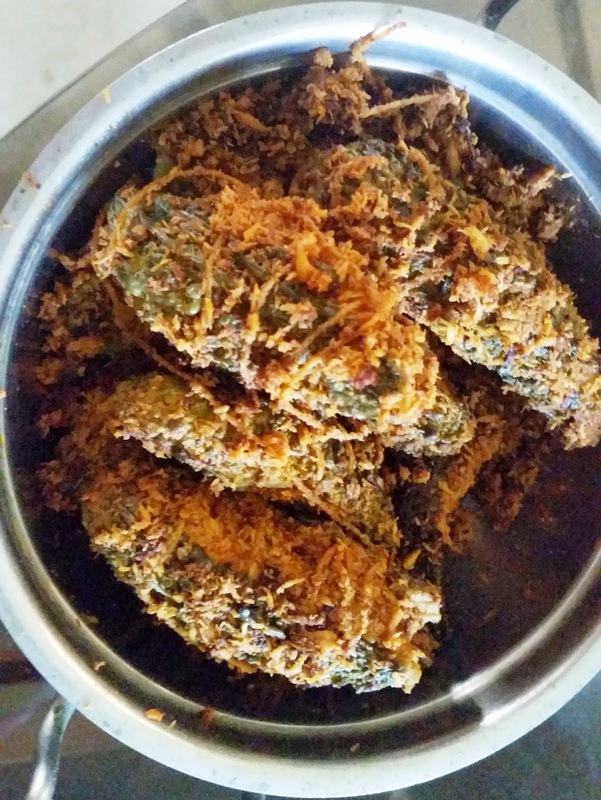 Makka Garelu is the Telangana version of corn vada. A treat to try by itself, one can also combine it with spicy veg or non-veg curries, where the vada soaks in the pulusu. There were some sweet snacks also, but as in typical Bengali style, I opted to try them out at the end. For the main course I started with Bagara Annam and Kaddu Ka Dalcha. The combo was quite different from what I tried in Hyderabadi restaurants like Shadab. It was less spicy but more flavorful, like home food. The bottle gourd gets a unique taste soaked in the lentils. Next, I shifted to plain rice. The traditional chutneys (thokkus – normally eaten with rice) were delicious – one made from tamarind (chintakaya) and other from a leafy vegetable called Chenangaaku. People know me as a huge thokku fan, who habitually tries any thokku he sees, but these were among the best ones that I had had. These were followed by the combo of Mamidikaya Pappu (mango dal) and Kakarkaya Potlalu (stuffed bitter gourds). I especially liked the masalas inside the bitter gourd. 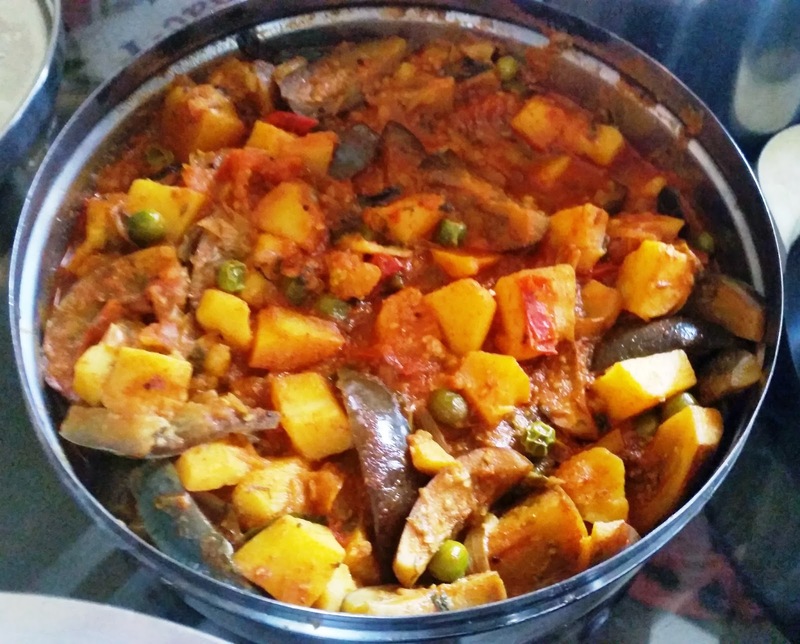 Pachi Pulusu is a light curry where none of the ingredients are cooked. It looked like a rasam type curry with tamarind, raw chopped, onions and chilies. 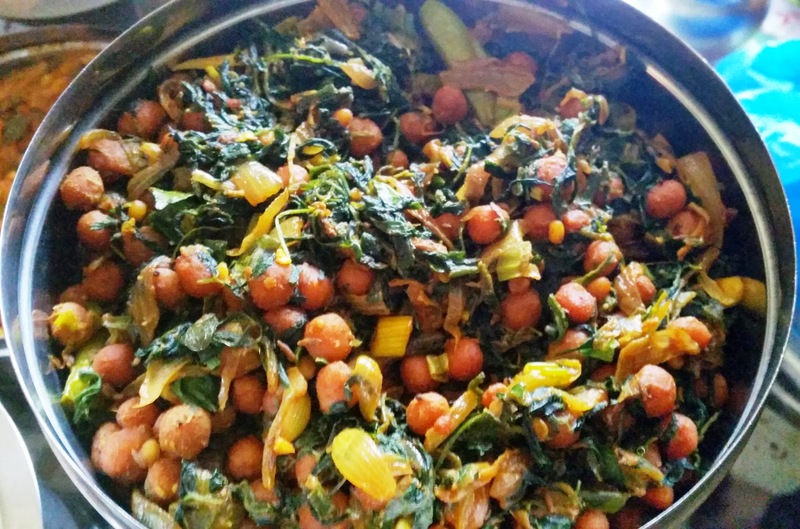 It was explained that this is the staple food for relocated students, who can easily prepare it at home and combine with rice. The more affluent ones can add couple of chicken fry pieces with this combo to go as sides. The vegetarian sides were a sabji made of potato, peas and brinjals (Vankaya Alu Gadda Koora) and a methi chickpea combination (Badeela Koora). Both were the perfect foil for the rice and Pappu Charu (a sambar like lentil based dish). Finally I tried the sweet snacks. 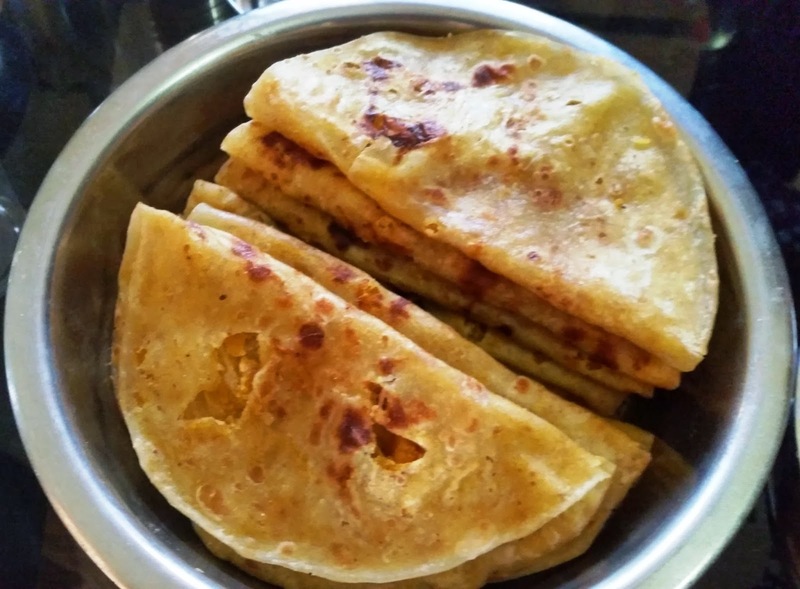 Polelu – very similar to puran poli/bobbatlu – is a paratha stuffed with dal and jaggery. 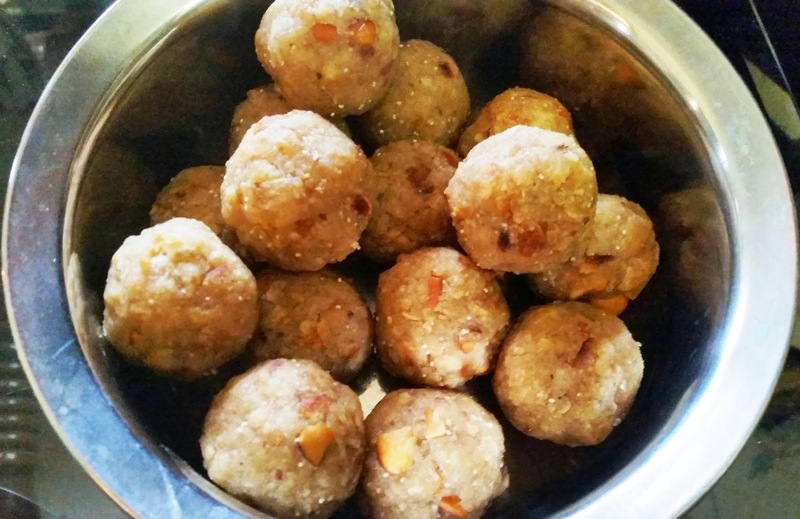 Maleeda, a laddoo shaped sweet normally offered for pujas and made of crushed chapathis, ghee and sugar was new to me along with the Khowa Garijelu which is a fried dumpling stuffed with khowa. 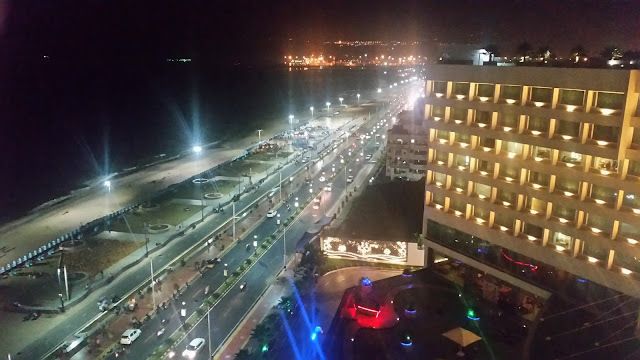 The food was excellent and to enhance it further, I learned a lot about Telangana cuisine from the host as well as other participants – especially Gopi Kishore, the founder of Feazt and Ravikanth Reddy, a good friend and fellow food enthusiast. Feazt is a startup in Hyderabad and Bangalore which provides home chefs a platform to display their culinary skills to a wide range of food lovers. Home Chefs can make a list of items they can cook, and tie up with Feazt (who will run the requisite checks before enlisting) to start a prepaid event for a number of participants they are comfortable with. 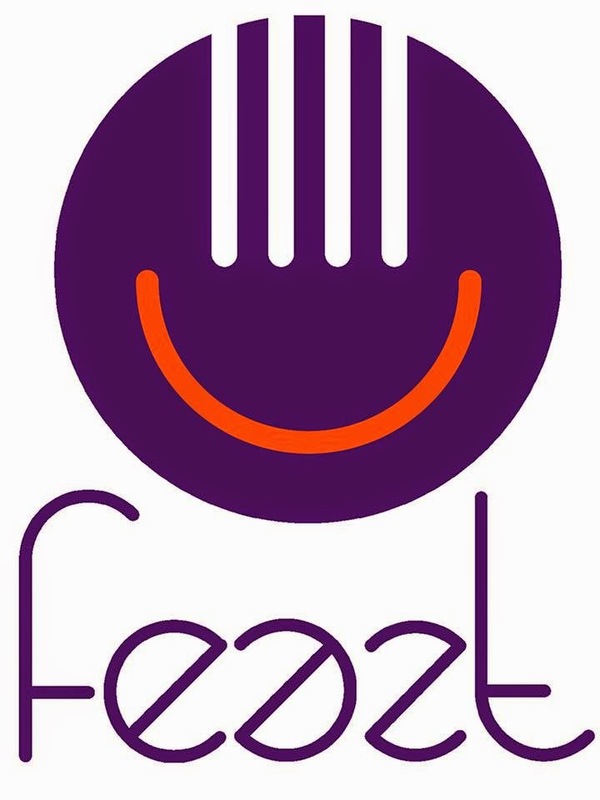 The concept of Feazt opens up huge possibilities for food enthusiasts to try out different cuisines from home chefs.